Thus far in the OnePlus saga the Chinese company has used chipsets from highly acclaimed chipset maker Qualcomm. The name Qualcomm has been around ever since the dawn of cell phones, and using their experience have crafted some of the finest chipsets in mobile history. Last year with the OnePlus One we saw the Chinese manufacturer use the Snapdragon 801, a supercharged version of the chipset found in phones from the end of 2013. This year OnePlus is using the latest from Qualcomm, the Snapdragon 810, based on a completely new 64-bit architecture from the company. But all has not been well with the Snapdragon 810, and if you’ve been following up play-by-play with the drama from the chipset you might remember that it’s a little prone to overheating at times. While OnePlus assured us they’re using the latest version of the chipset, version 2.1, which is designed to prevent overheating and under-performing as we had seen it intially, other phones with the Snapdragon 810 v2.1 are still running into the overheating issue. While there are many ways to combat this problem it seems that OnePlus may be running the chipset a little slower than other manufacturers, better known as underclocking it. This would keep it from being as fast in peak moments as other competitor’s implementations of the same chipset but could keep it from getting as hot and ultimately having to significantly slow down, sort of like the tortuous and the hare kind of situation where the seemingly slower one wins in the end because of consistency. Leaked AnTuTu scores allegedly for the OnePlus 2 are painting this picture for us and showing us just what OnePlus might be doing with their upcoming phone, set to be unveiled in just a week’s time from today. 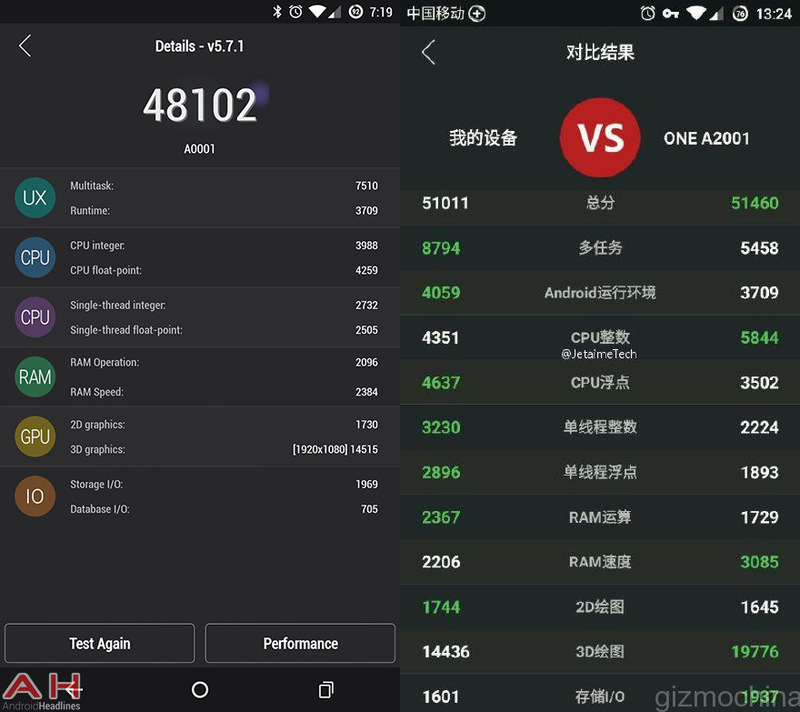 Looking at the score breakdown we’ve run AnTuTu on our OnePlus One’s here and come up with similar results to the alleged OnePlus 2, with the biggest differences being between CPU computational components and 3D graphics rendering performance, both in favor of the OnePlus 2. What’s not seemingly in favor of the OnePlus 2 is the multi-tasking performance and the single-thread performance, both of which under-perform when compared to last year’s flagship killer. Whether or not these benchmarks are 100% legit or even using final builds of OxygenOS is not something we can know right now, but we’ll be sure to give you final numbers in a week’s time! 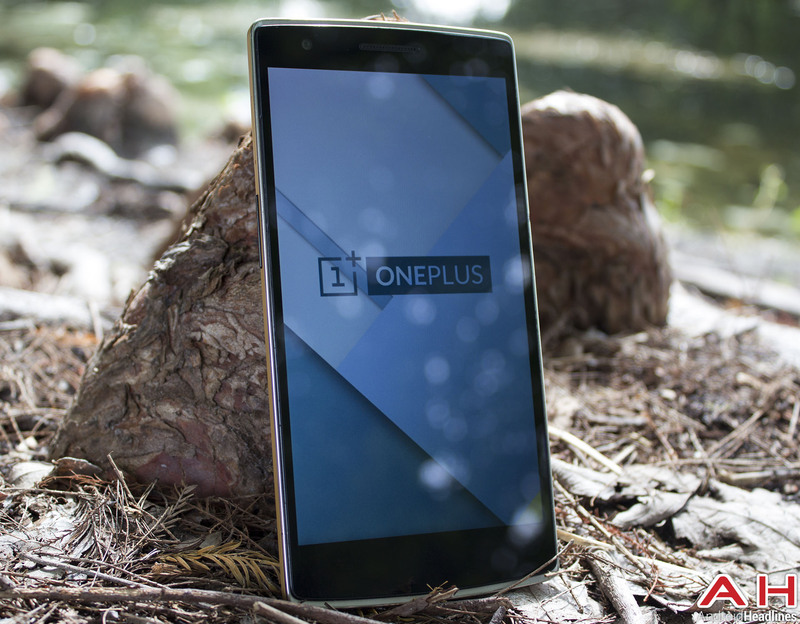 The post OnePlus 2 Alleged AnTuTu Benchmarks Show Underclocking appeared first on AndroidHeadlines.com |.